In the ‘Land of Lincoln’, Sports Betting and Online Gambling experts have universally come out in support of Illinois’ State Lawmakers looking to make it easier for the state’s many sports gamblers and online betting aficiandos to place a bet on the Bears, Bulls, Blackhawks, Cubs and White Sox. 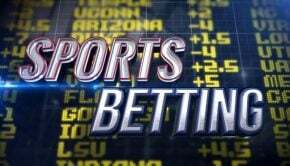 Believe it or not, Illinois State Legislators would also like to make your visit to an online sports book a cheaper one and enforce a low level of taxes that doesn’t make you want to go elsewhere for your sports betting needs. 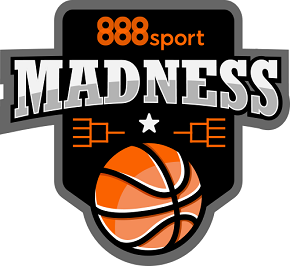 It’s a line of thinking that not only will allow to bet on all your favorite Illinois sporting teams more easily, but you’ll also be doing your bit by helping to keep gambling dollars in Illinois. That’s money that is better off here in Illinois to pay for our health and education systems, parks and gardens, veteran’s services, Police and Fire departments, and better roads for us all to enjoy. Illinois has made several attempts at legalizing Daily Fantasy Sports (DFS) and online gambling in each of the last few years. The State’s legislators have made some recent inroads by combining the two, along with sports betting (following the U.S. Supreme Court’s ruling to deliver sports betting’s decision back to the states in May 2018), however, these efforts (most recently in June 2018) ultimately fell short on each occasion. However, given the rapid uptake of sports betting across the nation and its unqualified success stories in gambling friendly states like New Jersey, Delaware and Pennsylvania, the conversation in Illinois will inevitably be moving forward in 2019. Uniquely for Illinois, our state plans to keep online gambling and DFS tied to any potential new sports betting legislation, which would allow for the Land of Lincoln not merely to play catch-up, but leap-frog many other neighboring states. Given that many estimates place legalized online betting and sports wagering as a potential $50 million to $150 million bump for the State’s General Revenue, the Illinois General Assembly is expected to include its online gambling/sports wagering/DFS legalization on the agenda in the 2019 legislative session beginning shortly. It could be possible that the bill may even include a gaggle of new land-based bricks-and-mortar casinos too. “I’ve had various drafts—there are many issues to discuss,” he mentioned. “I do think it will create a new industry in Illinois. I do think it will put a lot of people to work in this industry and it will take people off the grid of gaming illegally online,” he said. Lang explained that every state must be “insulated” by geolocation technology, insisting that Illinois could become a sports betting hub if the bill becomes law. So far, The Commonwealth of Pennsylvania, Nevada, New Jersey, Mississippi, West Virginia, Delaware, Rhode Island and New Mexico have taken up legal sports betting, debunking sports betting as a political football and turning the pastime into a reality for a delighted sports mad and dedicated gaming public in each of those states. Following the U.S Supreme Court’s decision in May 2018 to hand sports betting back to the states for debate, discussion and eventual possible legalization, some states sped toward legalization at breakneck speed determined to turn previous black-market sports betting dollars into consolidated revenue for state coffers to fund public services, health and education programs and state infrastructure building projects. Since the slow winds of change of legislative and industry developments blowing across the nation in 2018 turned into a hurricane of legalization activity to close out the year, we’re expecting that the pace in 2019 will increase exponentially.